There seems to be no respite for Alexis Sanchez once his move to United from Arsenal was confirmed in a straight swap with Henrikh Mkhitaryan. 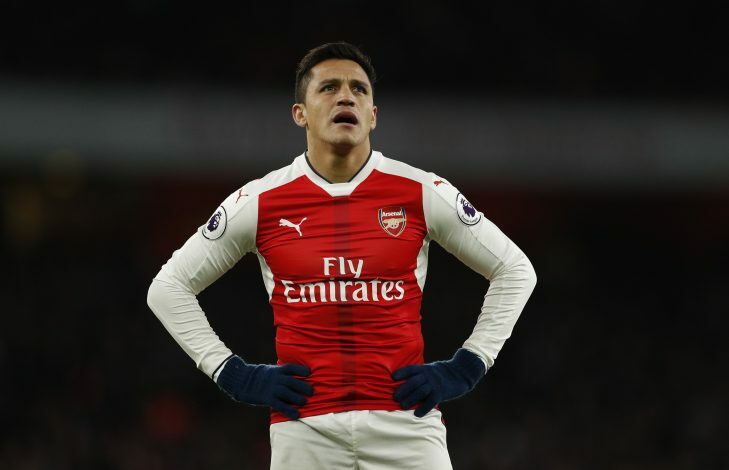 After being criticised by a majority of the club’s fans, some of the pundits, and certain sections of the media, the Chilean star was supposedly aimed at by an Arsenal colleague as well. Sanchez completed a blockbuster move to a direct rival, with United manager Jose Mourinho citing they have one of the best players in the world in their ranks now, and it gives them added dimension. Sanchez performed well at Arsenal for three-and-a-half years and scored 80 goals in 165 appearances. This season, he managed 8 goals in 21 appearances before moving to Old Trafford. Arsene Wenger stated after the club’s 2-1 win over the Blues that now, the club has found some clarity post Sanchez move. “We lost a great player in Alexis Sanchez but when a team doesn’t know what’s going on in the dressing room there is less clarity and focus on performances. We know we have to deal with it now,” said the Frenchman. The former Udinese and Barcelona player stated after his move that he gave everything for the Gunners while he was at the club, but midfielder Mohamed Elneny thinks otherwise. The Gunners beat Chelsea in the second leg of the League Cup to progress to the final, and Elneny took a supposed aim at Sanchez on social media site Twitter. This, in turn, has got several Arsenal fans excited on Twitter, as they continued to be suspicious on Sanchez’s determination and commitment during his final months at the club.